A good man makes an unfortunate decision, and it shakes his entire world. It's about money, power, shifting standards, race, and since it’s a New York story, real estate. You’re playing off the title of William Dean Howells’ A Hazard Of New Fortunes. In what ways is it similar or different? A Hazard Of New Fortunes is the first manifestation of what came to be called “a novel of New York City,” in which the city itself feels like a character in the book. That’s something I tried to do in The Hazards Of Good Fortune. Howells' novel is about money, which is one of the major themes of my book. And both stories vividly reflect the era in which they were written. But A Hazard Of New Fortunes is about people who are on the make and in The Hazards Of Good Fortune, as the title implies, is about people who are not struggling for their place in society but are fighting to hold on to it. And the Howells novel takes place in a world populated nearly exclusively by white people. Why did you choose to write about race? Like a lot of Americans, I believed that after Obama was elected, we were taking a big step toward putting our racially fraught history squarely in the past. But to quote William Faulkner, “The past is never dead. It’s not even past.” Now we’re living through a painful era where the legacy of the Civil War is being re-litigated. The issue of race is still far more central to the national conversation than I thought it would be post-2008. And since Donald Trump was elected President, it’s more topical than it was when I began writing it during the Obama years. It's become a cliché to say race as a subject is a "third rail" so that made it tempting. Did you have to compromise your sense of the reality of race relations to keep from getting skewered by critics and Amazon reviewers? Reviewers will write what they're going to write and it would be a waste of time to try and tailor my sensibilities to please those of a reviewer. If I get skewered for taking risks, so be it. I attempted not to compromise anything in the book. If I did, it was subconscious. Relations between the races in America are complex, sometimes painful, and historically weighted, and the book reflects that. Might the story be subject to misinterpretation by someone with an agenda? Absolutely. "Huckleberry Finn" has been banned because of racial questions surrounding the text. “To Kill A Mockingbird” was banned recently because it makes some people uncomfortable. If my book didn’t make anyone uncomfortable, I’d be disappointed. The main character in your novel is the Jewish owner of a professional basketball team who has a strained relationship with an African-American player. Why would you want to write about the Jewish/African-American connection? Because Jews and black people are my two favorite American communities. Both groups have played an outsized role in American life given their numbers in the population. Jews and African-Americans are both alienated from the dominant white, Protestant narrative of America and yet, after working together during the civil rights movement, they’ve grown estranged when they should be natural allies. Jews have had an advantage in that they possess a debatable “whiteness” which has allowed them to transcend anti-Semitism more easily than black people have been able to escape from the racism that is still so endemic in America. This history has further complicated relations between the groups. The conflicts that arise out of this condition make for compelling storytelling. How do you think the position of Jews in society has changed over the last 50 years? That question could be the subject of a book, but I'll keep it brief: The Jews were outsiders in America for so long, and while many Jews have prospered and have become integral to American society, the incidence of anti-Semitic incidents has risen significantly. With the rise of Trump and dark forces he unleashed, the position of Jews in America suddenly feels a lot less secure than it was just five years ago. Earlier in the 20th century, Jews who wanted to impact American culture were encouraged to mask their Jewishness, but this changed profoundly in the 1960s when artists as diverse as Lenny Bruce, Woody Allen, Norman Mailer, Saul Bellow and Philp Roth appeared on the scene and there was a brief golden period when it was hip to be Jewish. Jews have for the most part been liberal politically, but most American Jews support Israel, which a faction on the left is trying to turn into a pariah state. This political jiu-jitsu has complicated the way some people in the left view Jews as a group. While this has been going on, neo-Nazis march in public chanting anti-Semitic slogans. So, while the position of Jews in America remains relatively secure for the time being, it's hard to feel sanguine. The main character in the book, Jay Gladstone, was obsessed with African-American culture when he was growing up. Why did you choose to give him that history? I wanted to establish the degree to which he was sympathetic to the African-American experience, given the trouble he gets into in the course of the novel. In this era when so many suburban white boys want to emulate rappers, basketball players, and the general hip-hop culture, it's easy to forget that it wasn't always this way. But for some of us… I remember reading Eldridge Cleaver’s Soul On Ice when I was thirteen. I read Richard Wright and Ralph Ellison. I wrote a research paper in tenth grade on the Black Panthers. This fascination was not typical in my white suburban town where tastes ran in a paler direction. In high school, I discovered the blues and began buying records by artists like Otis Spann and Mississippi Fred McDowell. I realized as a teenager that black people and Jews shared a history of persecution and I related much more to the blues as a response to that experience than I did to most of what was coming out of the Jewish community (one notable exception: Philip Roth). When I was growing up, the dominant narrative in America was white and Protestant, and in that environment, embracing black culture was a way of rejecting what the country was offering. So, I was imbuing the character with some of my back story. How would you respond to people who say you, Seth Greenland, do not have the standing to write about other races? Some readers might say that I have no standing to write African-American characters, but it's hard to write an honest book about contemporary American life if you can only include characters whose life experiences mirror your own. What I tried to do was to render all the characters as three-dimensionally as possible. They're meant to be individuals who do good things and bad things. None of them, white or black, are meant to stand in for their race. The main character is a Jewish guy who is puzzled by the state of race relations. That describes a significant swath of American today. Some readers might not like the way you've depicted certain Jewish characters in the book. What would you say to them? People are complicated. Jews are people. How do you identify as a writer? Are you a white writer? A Jewish writer? I identify only as an American writer. Because The Hazards Of Good Fortune has a lot of Jewish characters, and since I'm Jewish, if someone were to categorize me, they might put me in the basket of Jewish writers. I don't reject the label, certainly, although I would say I'm a writer who happens to be Jewish. This is a much larger canvas, and has a more serious tone than your other novels---did you go about it with a different sense of mission? Absolutely. I wanted to try and write a big novel that had a nineteenth-century feeling, teeming with characters from divergent backgrounds and myriad subplots that would snake along until they converged. No one was better at this Dickens, and I held him in mind as I wrote the book. I wanted to swing for the fences. 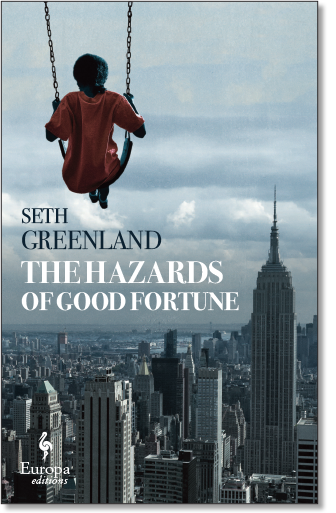 In fifty words or less, why should someone read The Hazards Of Good Fortune? Because it’s a multi-layered, character-driven New York City novel that deals with contemporary American themes like money, privilege, race, religion, and professional basketball in a way that is both thought-provoking and entertaining. You’re tall. How tall are you and did you play basketball? I'm 6'2", and yes, I played basketball until I was in my forties when I blew out my Achilles tendon and had to have surgery. I started playing organized ball in the fourth grade. I played in high school and at Connecticut College. Like the main character in The Hazards Of Good Fortune, I’m a lifelong Knicks fan. Since moving to Los Angeles, I’ve adopted the Clippers since, as a Knick fan, it would be against my religion to root for the Lakers. You set the book in the spring of 2012, against the background of Obama's re-election campaign. Why did you choose to set it at that particular time and how does that resonate with now? For a lot of Americans, the Obama Presidency was, to varying degrees, about race, but for different reasons. Progressives were luxuriating in having elected a black President who, in their view, was doing a great job. Many people who opposed his Presidency were, if their behavior was any indication, having trouble with the fact that the country had elected a black man to the presidency. The story takes place shortly after the killing of Trayvon Martin, which is referenced in the book. The rash of police killings of unarmed black men and the rise of Black Lives Matter can be traced to that time. 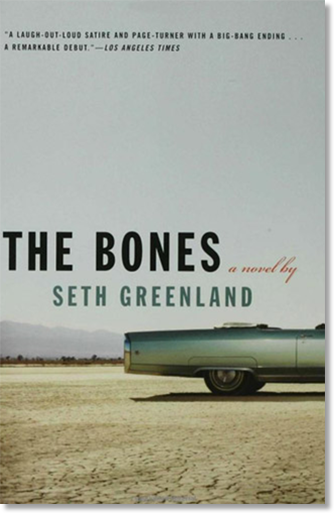 Given the themes of the novel, it seemed like the right period in which to set the story. 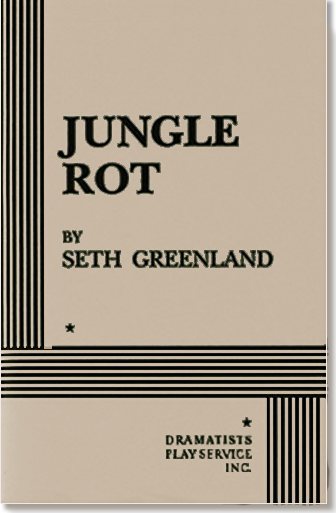 One of the book's epigraphs is "There arose a new king in Egypt, which knew not Joseph." What is that meant to imply? If you thought your position in society was safe, think again. Since The Hazards Of Good Fortune is about the downfall of a man who believed his social position was secure, it seemed apt. You started out as a comedy writer. What bearing did that have on your career as a novelist? It delayed it for about twenty years. Other than that: There is humor to be found in most subjects, and I am by nature inclined to tease it out. Also, whatever facility I have for dialogue was developed during years of scriptwriting. The downside is that since my natural tendency is to go for the laugh, jokes sometimes sprout like dandelions in the various drafts of a book. Occasionally I have to pluck them out because they don't belong there. This can be time-consuming. Also, I hate to waste a good joke, but I've made my peace with it. Philip Roth, James Baldwin, Joan Didion, Flannery O’Connor, John O’Hara, Woody Allen, Michel Houellebecq and others too numerous to mention but here are a few more: Philip Larkin, Evelyn Waugh, and the German writer Hans Fallada. If you’re reading this and you’re a writer: You. I’m saying that in advance.